It's finally time to switch gears and take advantage of the warm weather by dining outdoors. Fortunately, dining outside doesn't always have to be accompanied by honking cars and foot traffic. Instead, try dining at one of these restaurants with unique outdoor gardens, and enjoy your meal in an urban oasis. 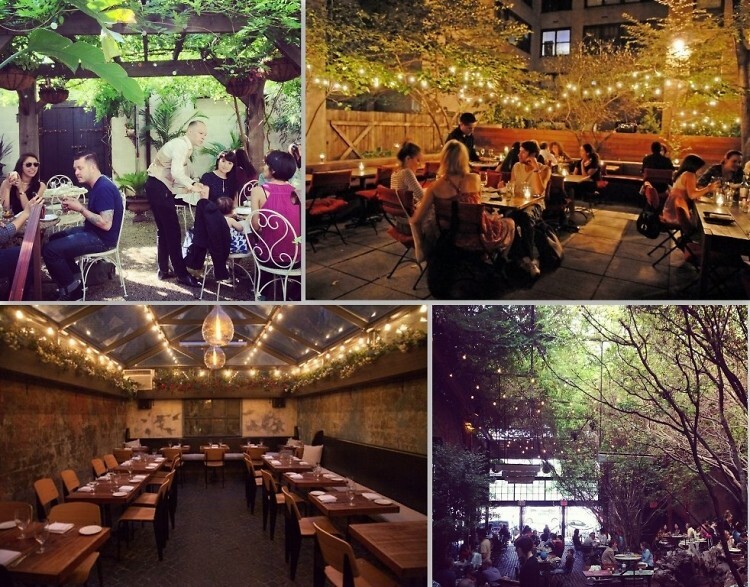 From Back Forty To Vinegar Hill House, click through for our guide to garden dining in NYC.